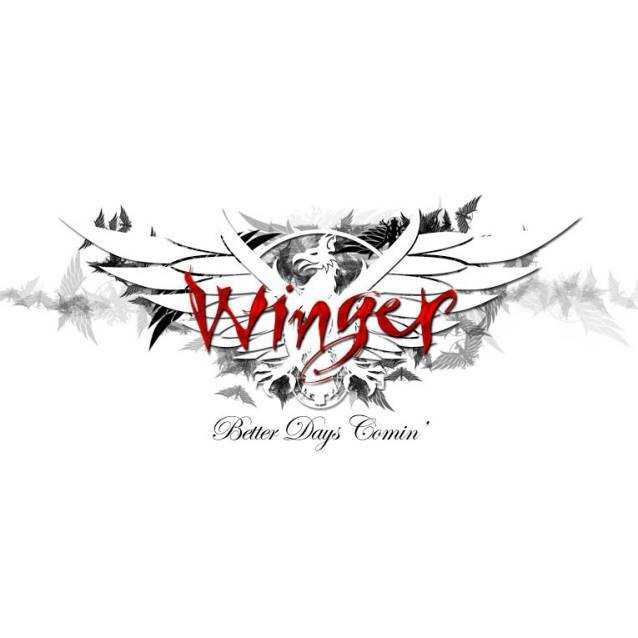 "Tin Soldier", the new video from WINGER, can be seen below. The song is taken from the band's new album, "Better Days Comin'", which will be released on April 18 in Europe and April 22 in North America via Frontiers Records. Fans who preorder the album now from iTunes will receive instant downloads of "Rat Race" (the first single) and the album's title track. The effort is available for pre-order on Amazon.com in a standard and deluxe configuration. The deluxe edition comes in a glossy digipak and includes the bonus track "Another Beautiful Day" and a DVD including a "Making Of The Album" documentary as well as videos for the first single "Rat Race" and title track, "Better Days Comin'". "Tin Soldier" showcases WINGER building on its previous album's tendency toward prog-rock, delivering an intricate landscape that basks in harmonic, melodic components that weave through three different time signatures. WINGER doing prog rock? It's not a total shocker. 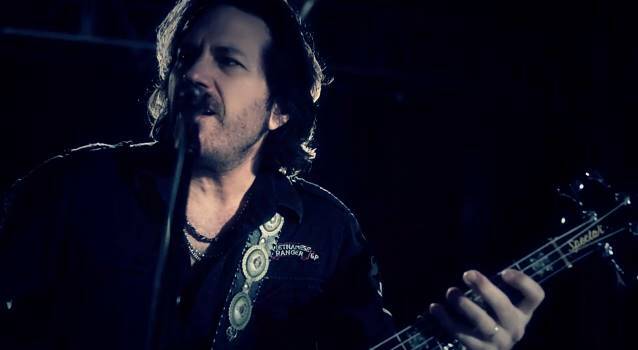 Frontman, composer and producer Kip Winger acknowledges RUSH's Geddy Lee as a major influence. Winger (the man) has fronted the ALAN PARSONS PROJECT on tour and collaborated with DREAM THEATER keyboardist Jordan Rudess on several projects, along with WINGER drummer Rod Morgenstein. "I remember when I saw the first Winger video many years ago," Rudess said. "I was struck by the high level of musicality within the band and the charisma of Kip Winger. I can still feel the magic and the power of this group. "I've had the amazing fortune to work with Rod Morgenstein, one of the greatest drummers on the planet. He can play anything from solid rock to the craziest prog I can think of. I've also worked with Kip. His voice and musicianship shine through anything he touches, whether it's singing Rudess, GENTLE GIANT or ELP songs on my albums, creating original orchestral music in his own compositions or leading WINGER." DEEP PURPLE guitarist Steve Morse, who's also in DIXIE DREGS with Morgenstein, added: "When I saw these guys live, I couldn't believe how good they sounded. I prefer bands that have many different influences; you know, the further you look, the more varied experiences and styles you'll find. That's what makes the music interesting on top of the great writing and performances. I witnessed them all bend over backwards to help keep a young musician's musical dream alive. After that, I describe them as my heroes."